The Supreme Election Council (YSK), Turkey’s top election body, is setting a precedent with its recent cancellation of the electoral mandate given to the nationalist opposition IYI (Good) Party mayor-elect for the Keskin district. The cancellation came after a decision was made to repeat the elections in the district. Haberturk reported on Tuesday that YSK’s cancellation would affect the election mandate of Necati Alsancak, mayor-elect of the Keskin district of the central Anatolian province of Kirikkale, which had been given by the district electoral board. YSK ruled for a re-run of the March 31 election in Keskin, billed to take place on June 2. The decision to cancel the mandate came after the ruling Justice and Development Party (AKP) appealed to YSK to annul and renew the elections in the district. According to the initial results, IYI Party’s Alsancak received 806 votes, while AKP’s candidate Dede Yildirim only got 799. 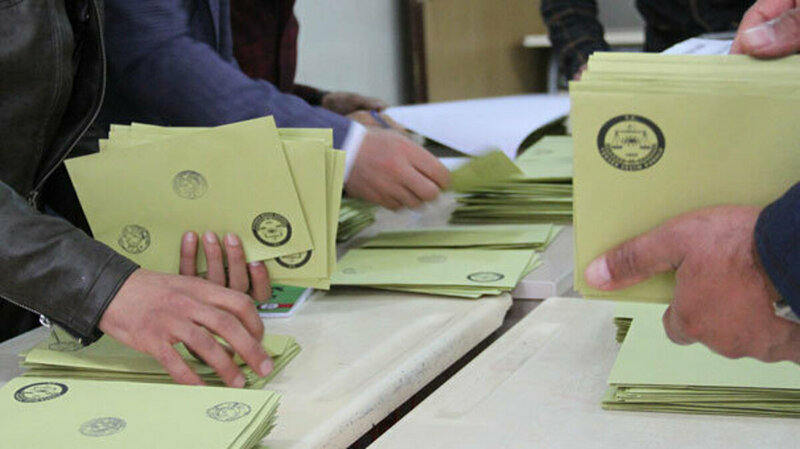 The AKP objected to the results and demanded a recount of the votes, but the district election board rejected the demand. The governing party then appealed to the election watchdog. The ruling will set a precedent for all of the provinces and districts where YSK rules for a re-run of elections during the extraordinary objection period. As a result, mayor-elects of those districts and provinces will not be able to hold their offices until a re-run of the polls takes place on June 2, as they did before the ruling. The AKP on Tuesday formally requested an annulment and rerun of Istanbul’s mayoral elections through an extraordinary objection filed to the YSK. If the YSK accepts the appeal, main opposition Republican People’s Party (CHP) mayor-elect Ekrem Imamoglu will not be able to receive his mandate as mayor until the re-run on June 2. According to the initial results, the gap between Imamoglu and his AKP rival, former Turkish prime minister Binali Yildirim, was around 28,000. The vote difference has decreased to 13,900 as a result of the recounts. The AKP has filed numerous appeals for vote recounts across Istanbul since the election on March 31. The YSK has approved some of those objections, ordering partial or full recounts in several districts. President Recep Tayyip Erdogan has previously labeled the results of the Istanbul race as work of “organized crime,” accusing opposition parties, after CHP candidate’s surprise win in Istanbul. The narrow victory of Imamoglu, the joint candidate of the CHP and IYI Party, sparked a harsh reaction from Erdogan’s party, which still refuses to concede defeat.